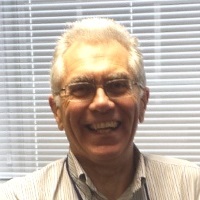 Ian’s pharmacy degree from Nottingham University was followed by training in hospital practice to complete his professional registration as a pharmacist. He then returned to Nottingham University to study for his PhD which was concerned with understanding how the material properties of powders and machine surfaces affect the filling of hard gelatin capsules. Ian spent 35 years at Reckitt Benckiser where he worked on a diverse range of formulations from hard surface cleaners to freeze dried peptide injections. Most of Ian’s formulation experience was centred on medicines, especially Over the Counter medicines and gastrointestinal products. Process validation – the design, qualification and improvement of industrial processes for robust routine production. Ian has approximately 50 publications and 19 patent applications to his name. Since joining iFormulate as Associate Partner in December 2014, Ian is keen to support initiatives that promote the science and practice of formulation in the development of exciting new commercially viable products.